Cal Aqua Labs is proud to announce our new CO2 checker – the Oracle. The Oracle combines the elegance of a glass CO2 checker with a white background inside the solution chamber for increased contrast and easy reading. It also has a wider neck for easy solution filling. 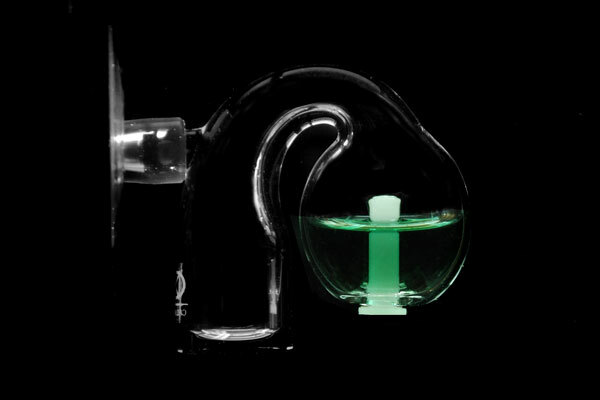 Each piece is intricately handmade from laboratory-grade borosilicate glass for increased durability and transparancy. Get Social – The fastest way to get updates from us! Your privacy is treated with utmost respect. Your email will be kept private and we will never, ever provide your email to third-parties or send you unsolicited mail. Based in Bangkok, Thailand, we specialize in the design and production of high-quality, innovative products for planted aquariums. If you are interested in carrying our products, please send us an email. Copyright 2010 - 2016 CAL AQUA LABS. All Rights Reserved.